Thousands of faculty, staff and learners in the Life Sciences Institute are actively engaged in innovative, leading edge research, education, and outreach. UBC is ranked #1 in Canada in life science research and the LSI is proud to contribute to this standing. Our world-renowned faculty and talented staff are constantly striving to make a measurable impact on everything we do. 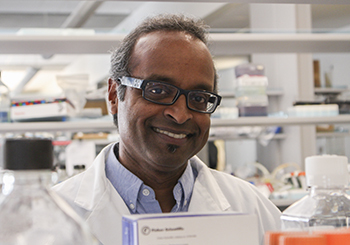 Faculty members at the Life Sciences Institute consistently demonstrate that they are among the very best researchers in Canada. Their excellence in teaching and research is recognized through institutional, provincial, and national awards. Our teams of self-motivated and driven individuals are passionate about enabling the researchers in their quest of research excellence and are glad to be of assistance to you. 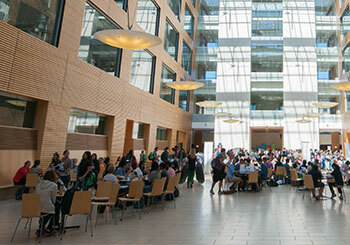 With more than 15,000 faculty and staff, UBC is one of British Columbia’s largest workforces. It is also one of the most progressive, consistently recognized as one of BC’s best employers. 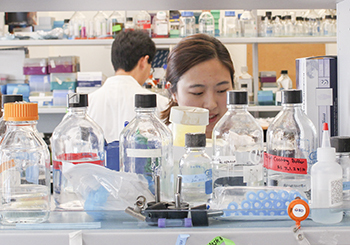 As UBC’s largest Life Sciences Institute, the LSI has numerous faculty and staff opportunities. Whether you’re a prospective hire wanting to pursue a career at UBC, or already part of the UBC community and looking for other opportunities, we encourage you to visit and apply at UBC Human Resources.